The official world premiere of Zydeco Crossroads: A Tale of Two Cities will take place at the Vermillionville Performance Center on October 13th in conjunction with the annual Cinema on the Bayou film festival. 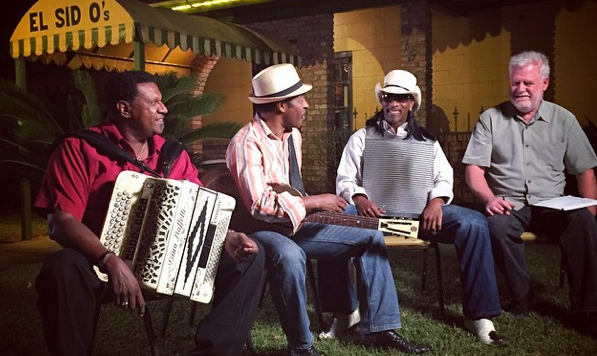 “Zydeco Crossroads” is a film by veteran director Robert Mugge about Philadelphia public radio station WXPN’s exploration of the Creole culture of southwest Louisiana through its year-long Zydeco Crossroads project. The 87-minute film features performances by Buckwheat Zydeco, C.J. Chenier, Chubby Carrier, Nathan Williams, Major Handy, Rockin’ Dopsie, Jr., Rosie Ledet, Creole United, Soul Creole, Chris Ardoin, Lil’ Nate Williams, Corey Arceneaux and Vasti Jackson. Featured on National Public Radio, the film also includes interviews by “World Café” host David Dye with many of these musicians, as well as interviews with Sid Williams, owner of El Sido’s Zydeco and Blues Club in Lafayette, and zydeco music experts Herman Fuselier and Michael Tisserand. While this event ends our time in Lafayette, zydeco fans in Philadelphia can join us on October 23rd and 24th for the finale weekend, featuring music performances, food and a local premiere of the film. Tickets and information for the Lafayette event can be found here. For tickets and information about the Philadelphia event, go here. Check out some clips from the film below.